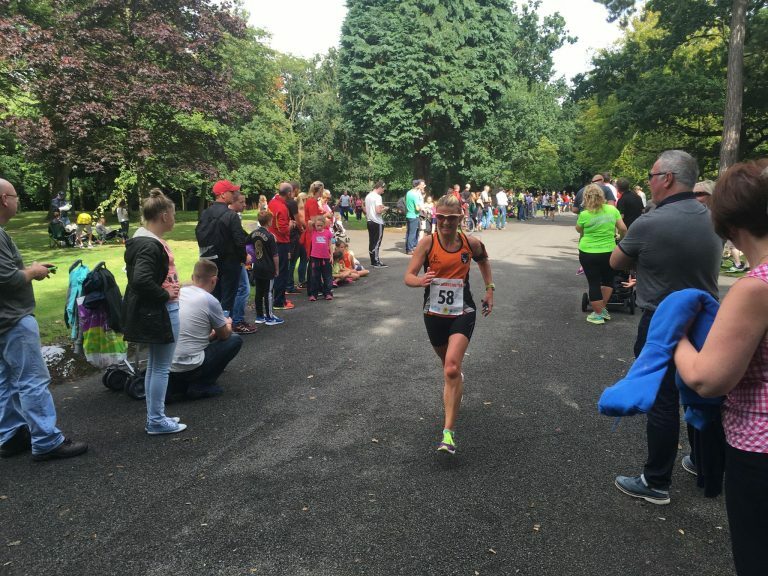 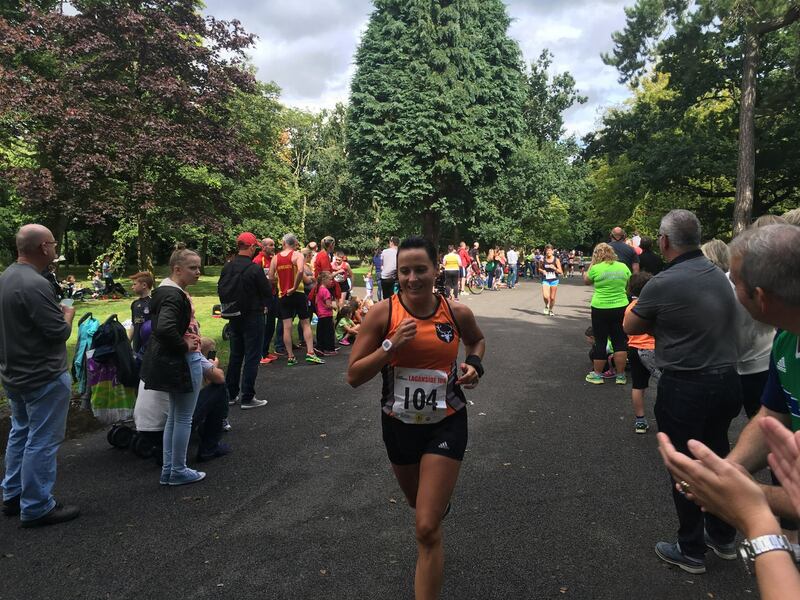 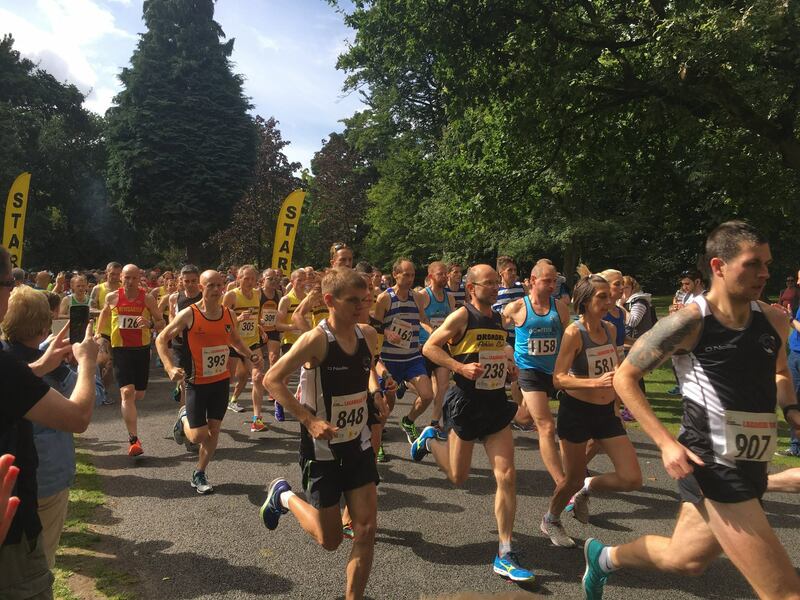 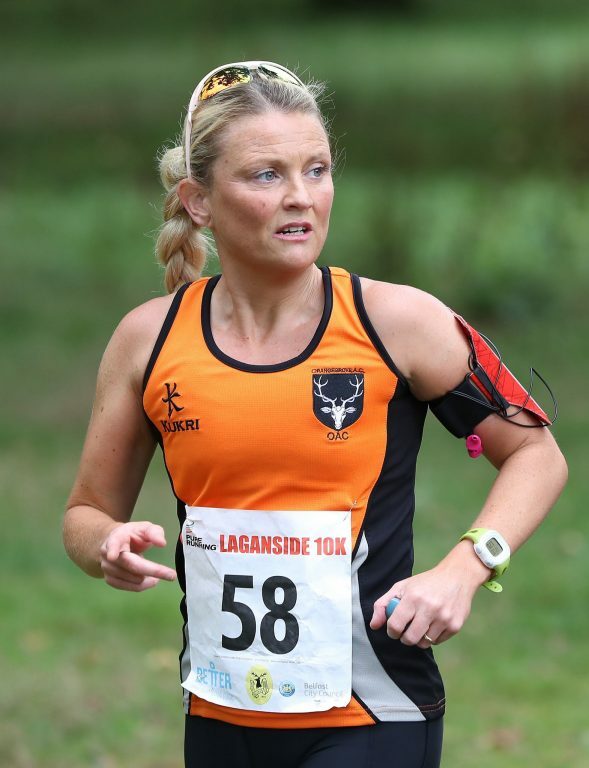 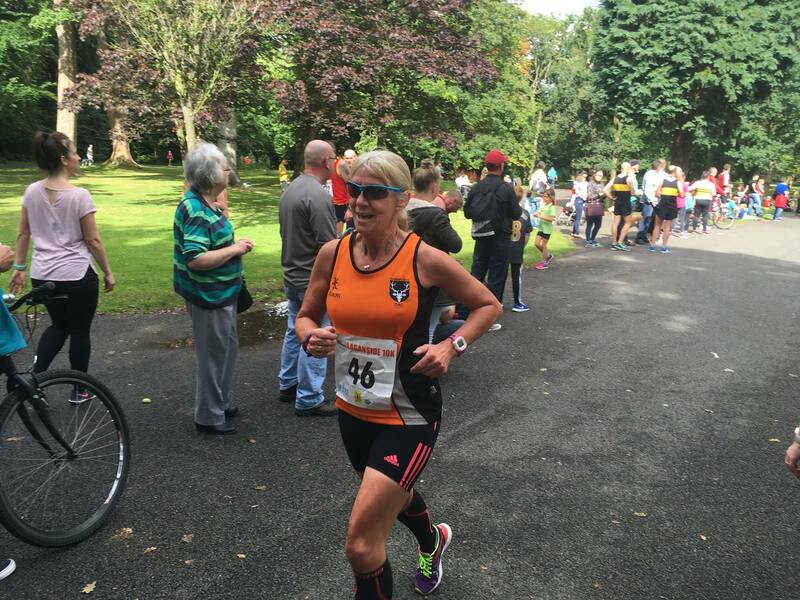 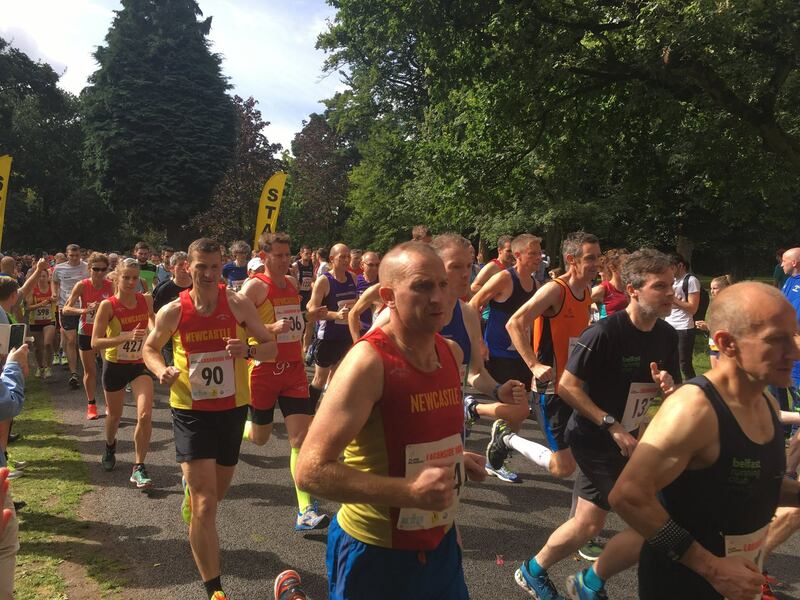 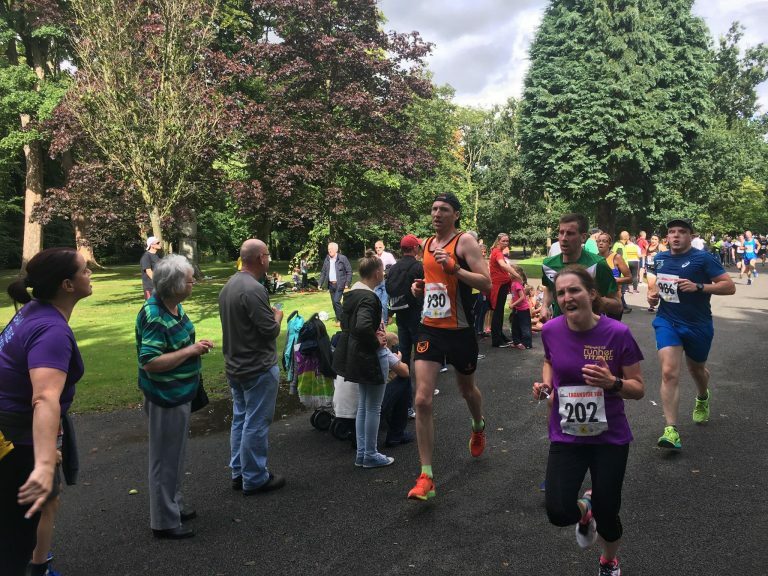 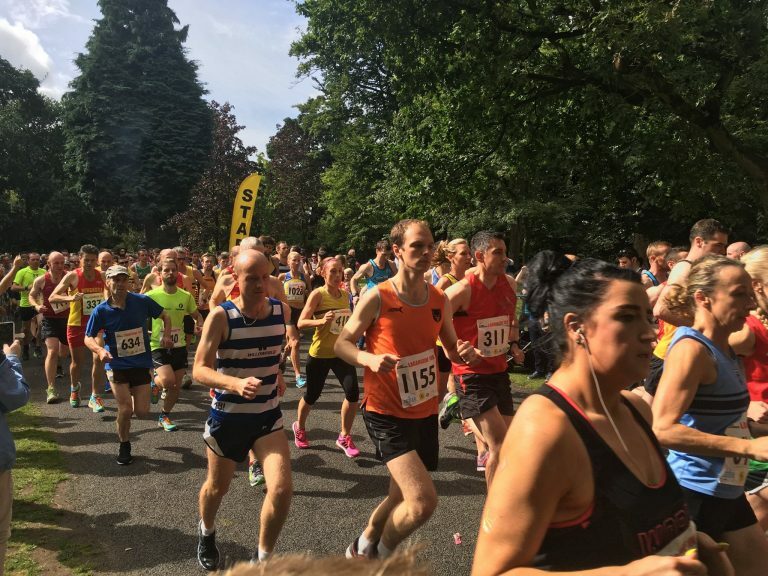 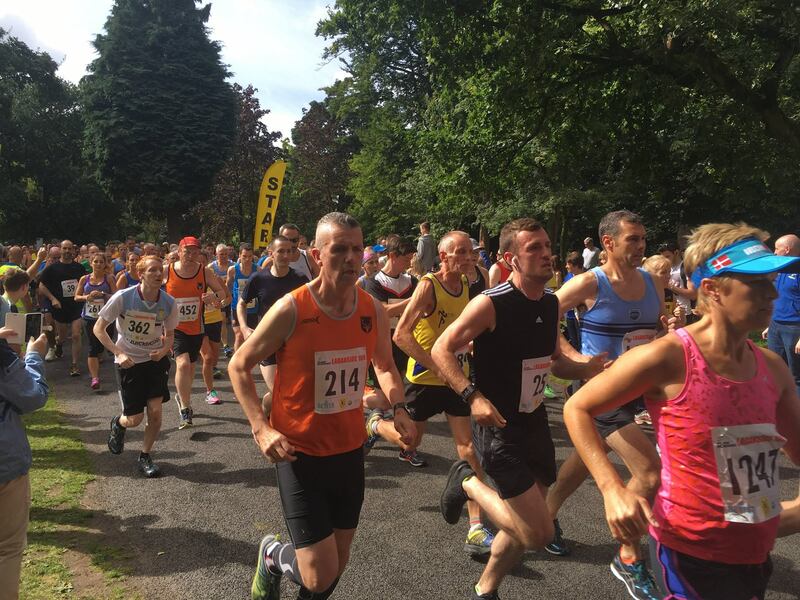 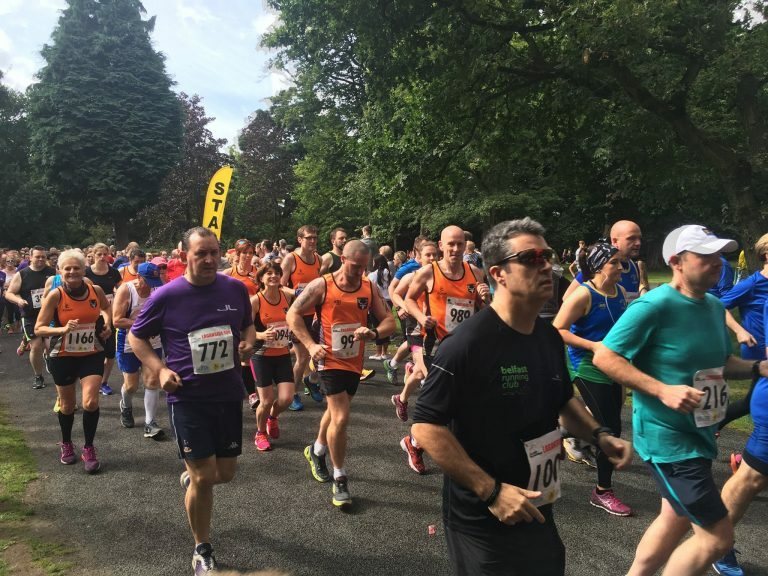 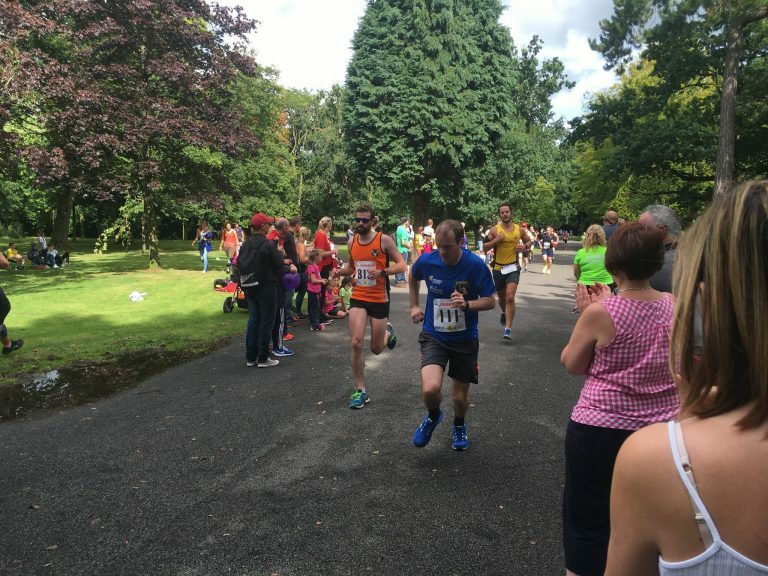 This prestigious event was round eleven of both the Novosco 10K Series and the Orangegrove AC club championship. Needless to say then that there was a lot of committed running. 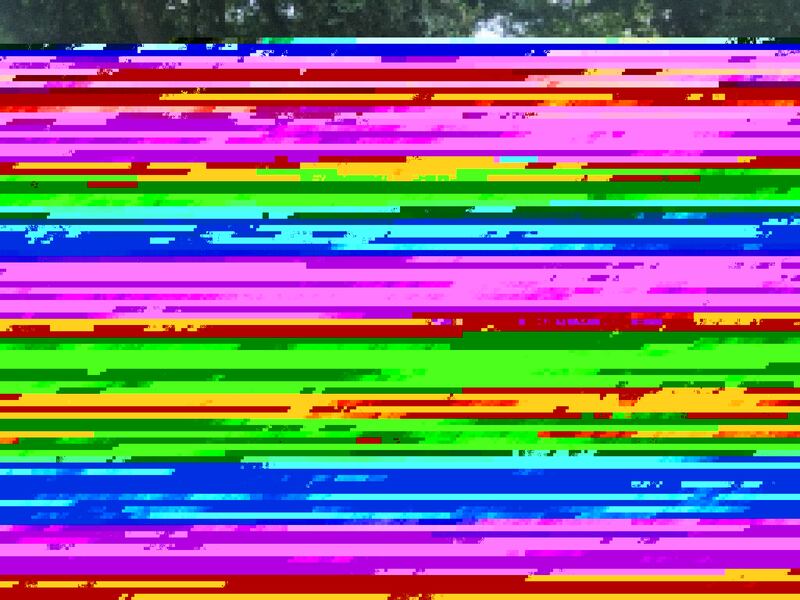 I would guess though that none attempted to finish like Shaunae Miller in that women’s Olympic 400m final. 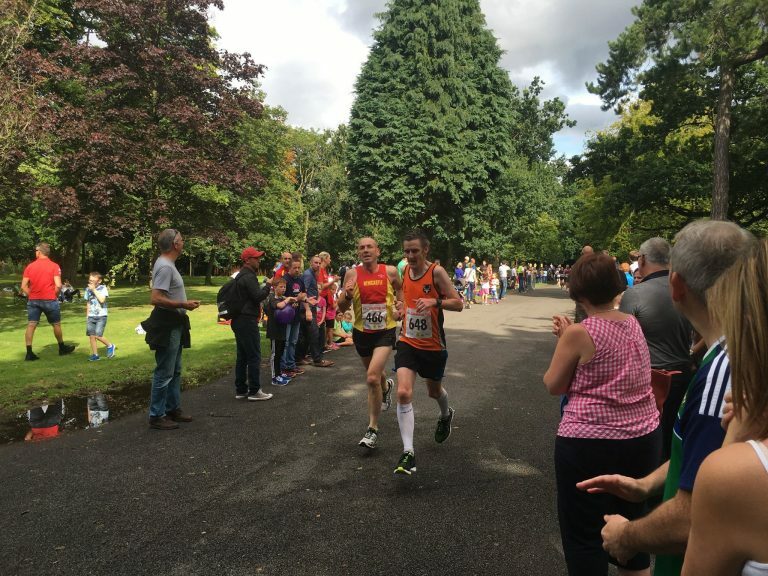 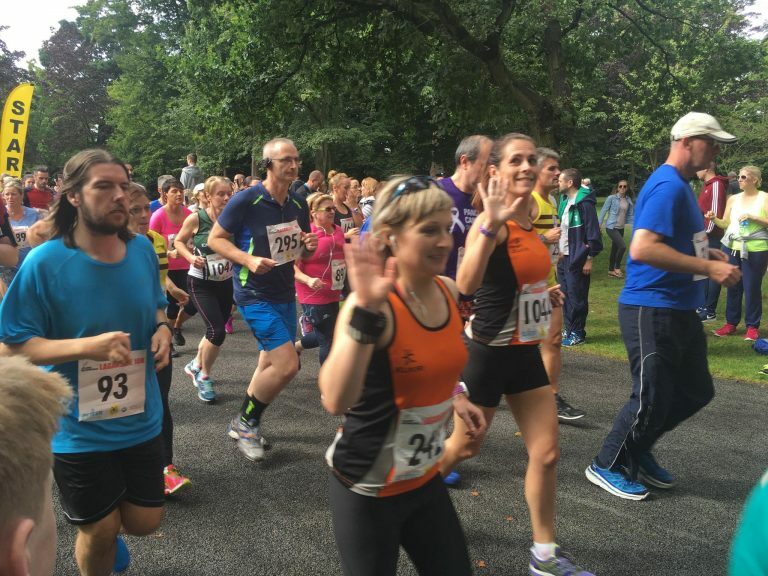 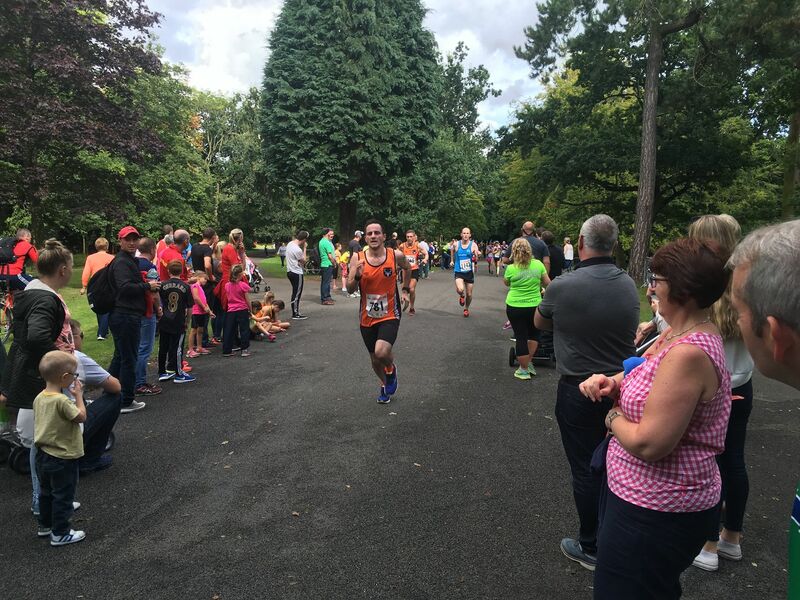 The race route was heavily revised for 2016 with the start/finish moved from the Tennis Centre entrance to near the Ormeau Park Bowling Pavilion. 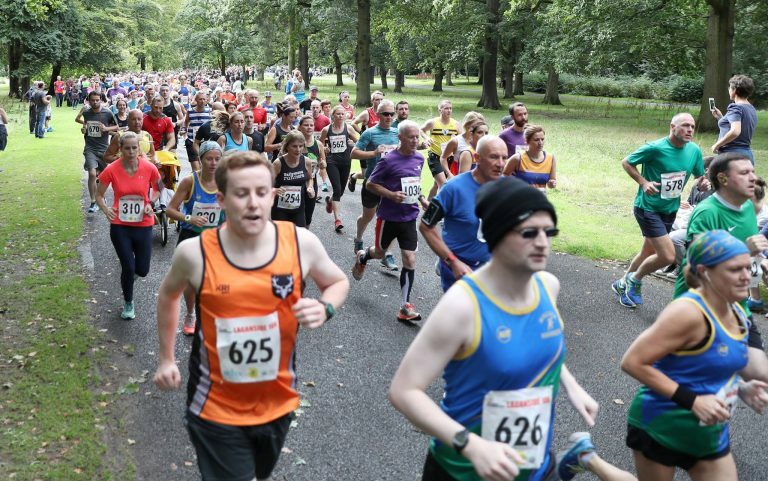 The main avenue through the park was the start and finish straight. 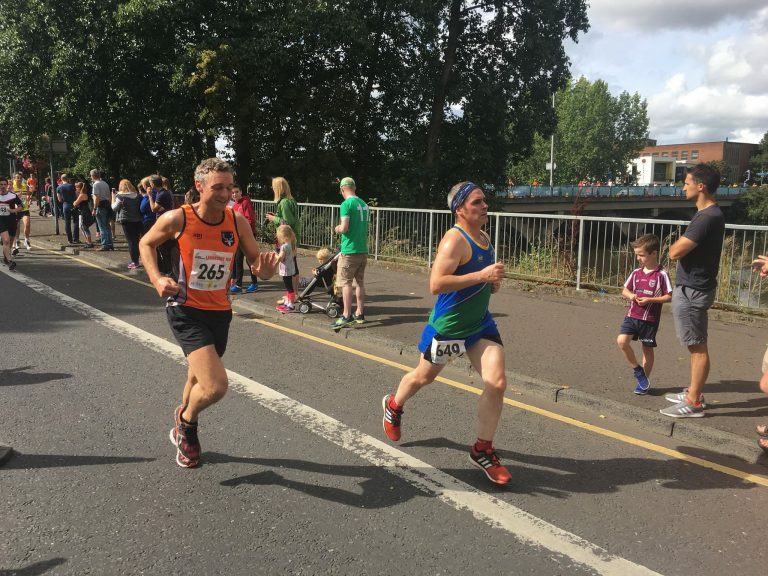 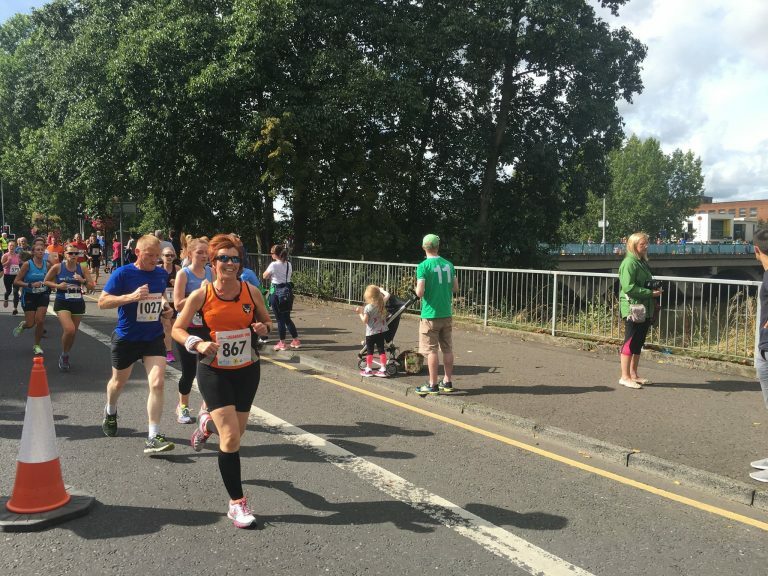 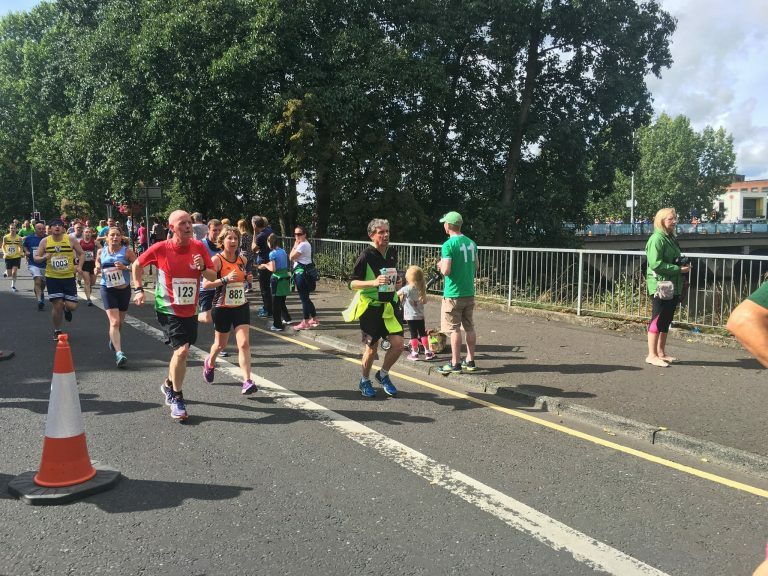 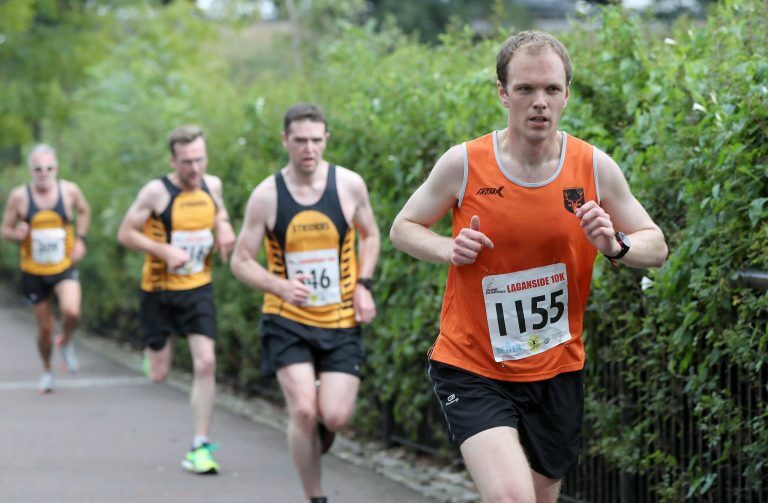 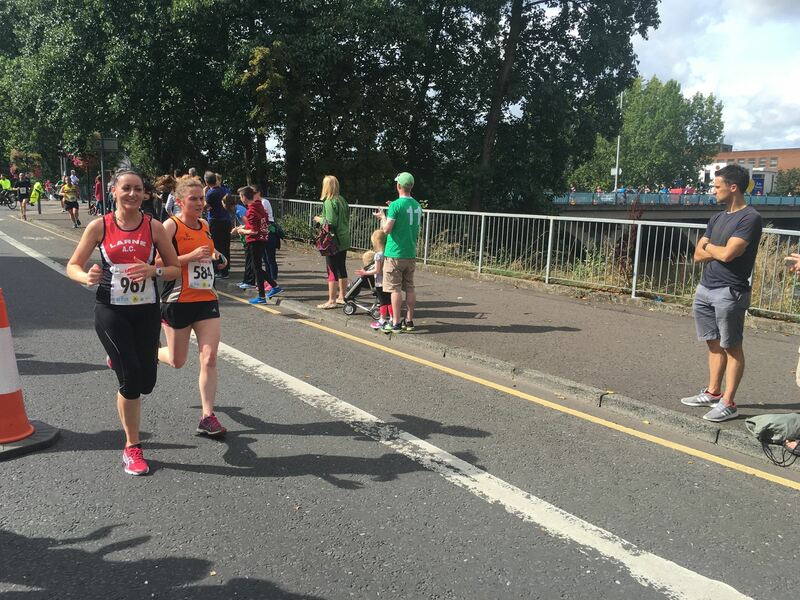 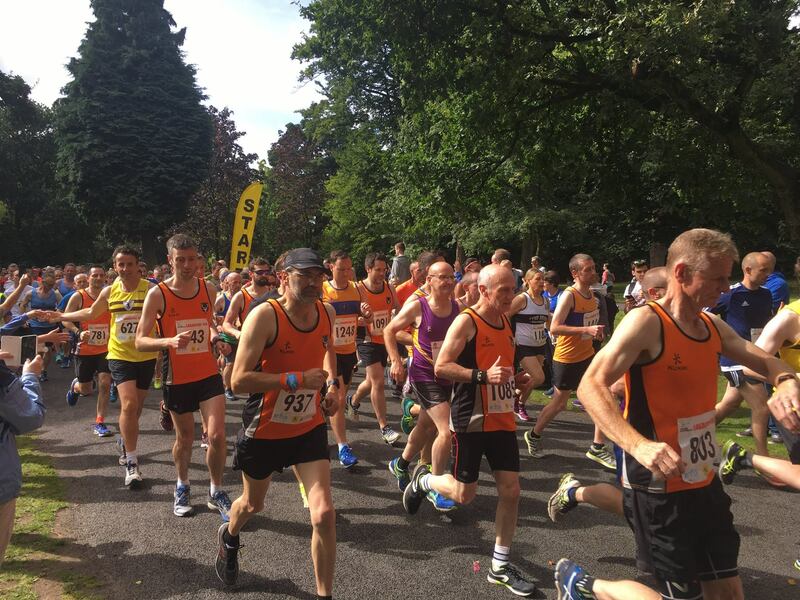 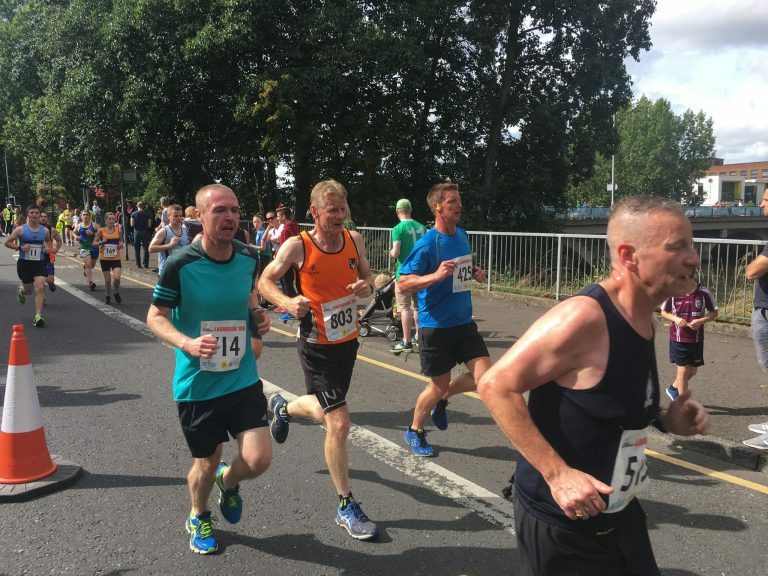 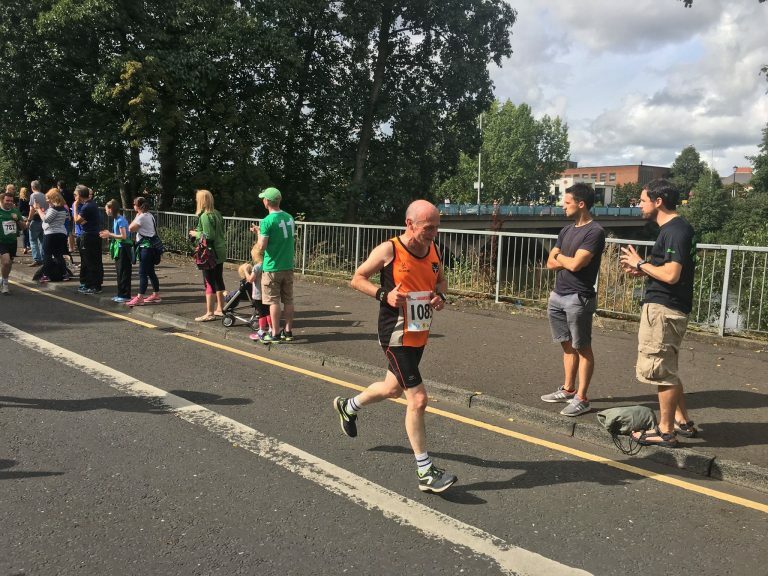 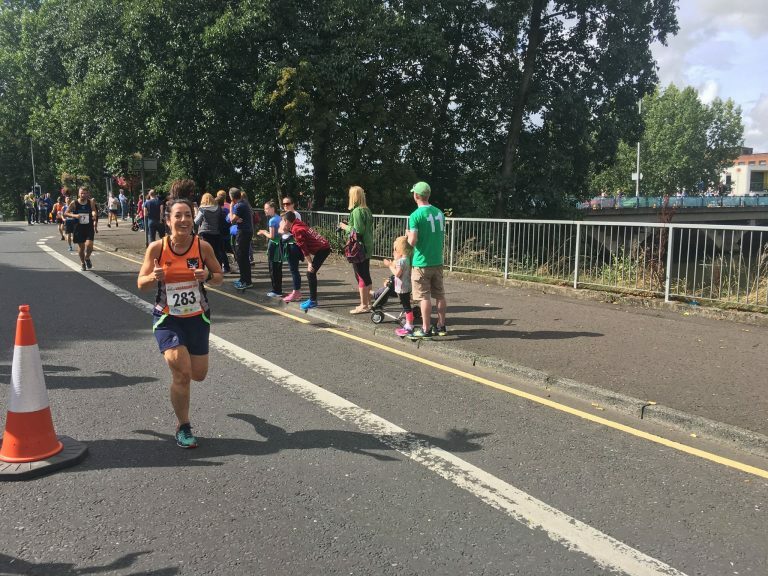 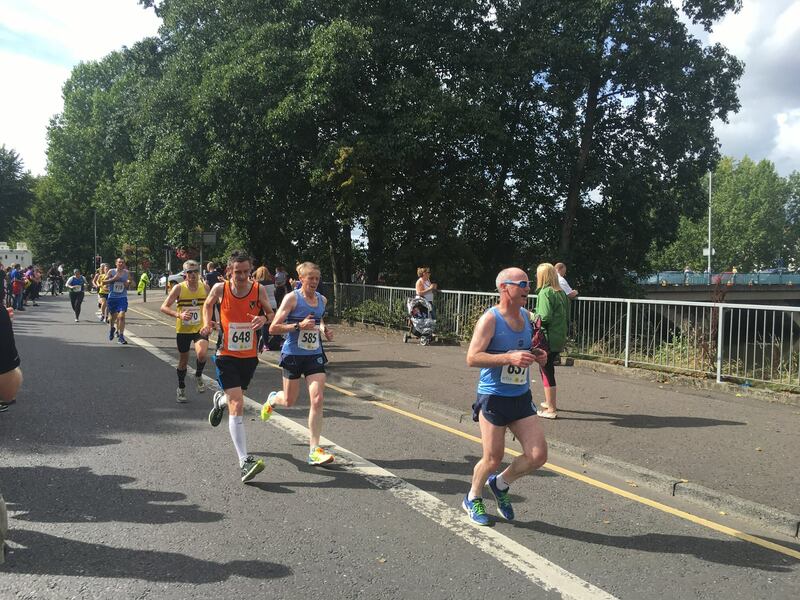 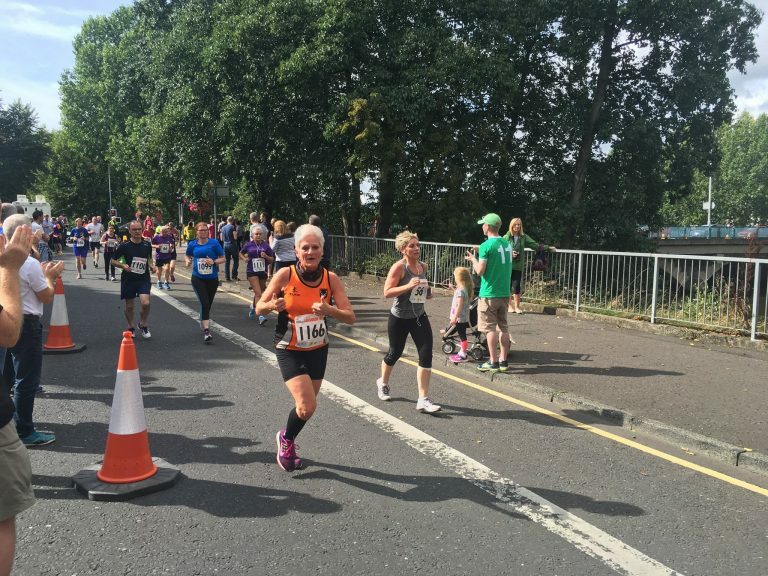 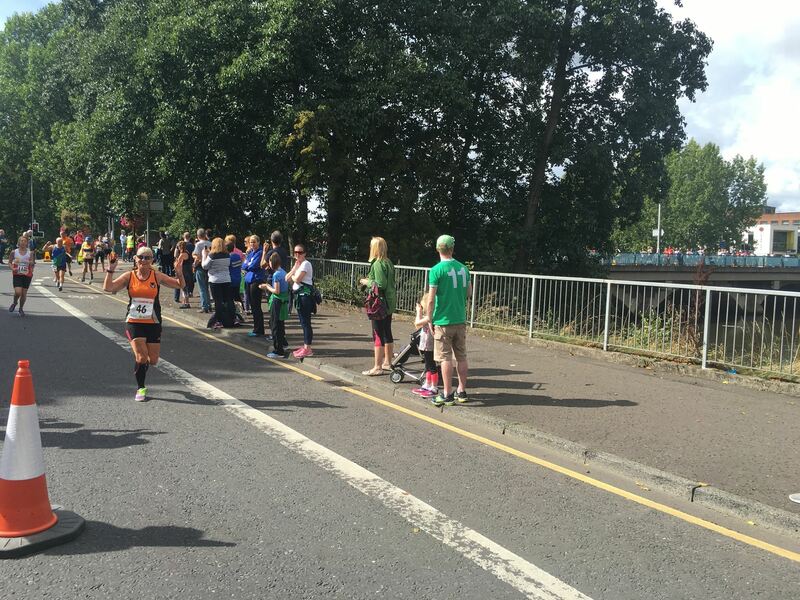 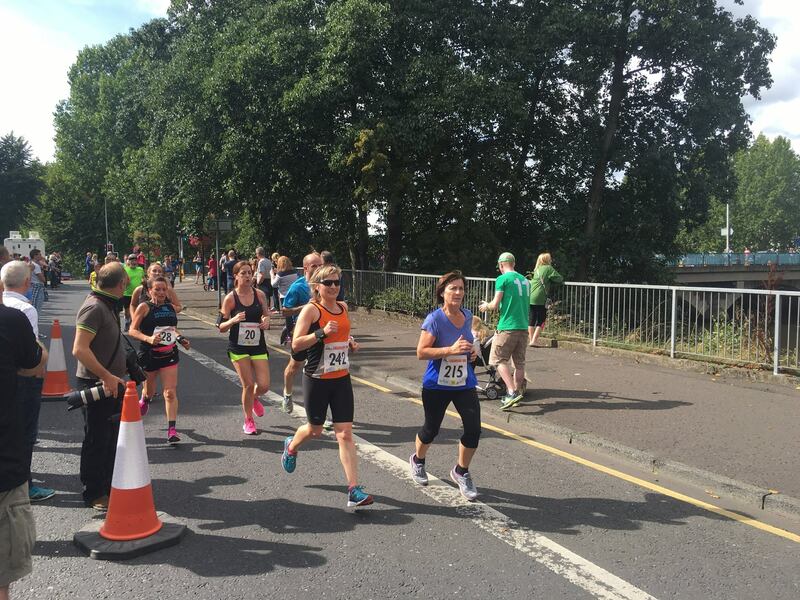 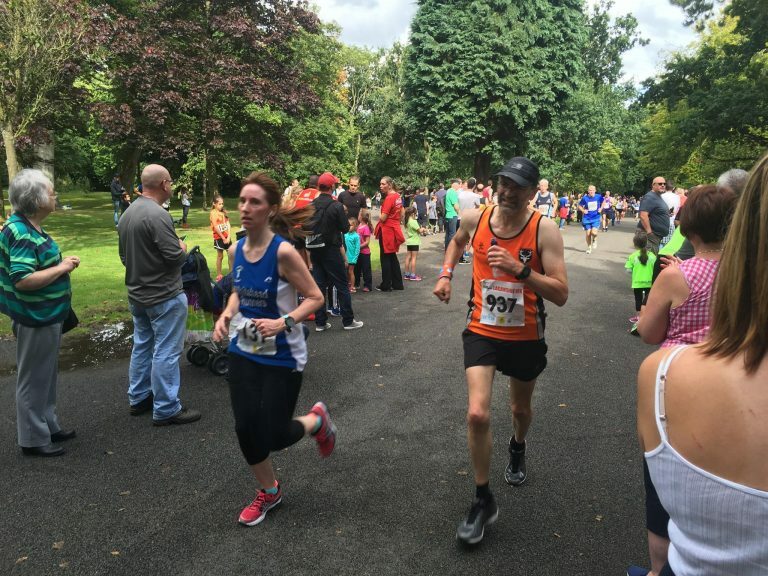 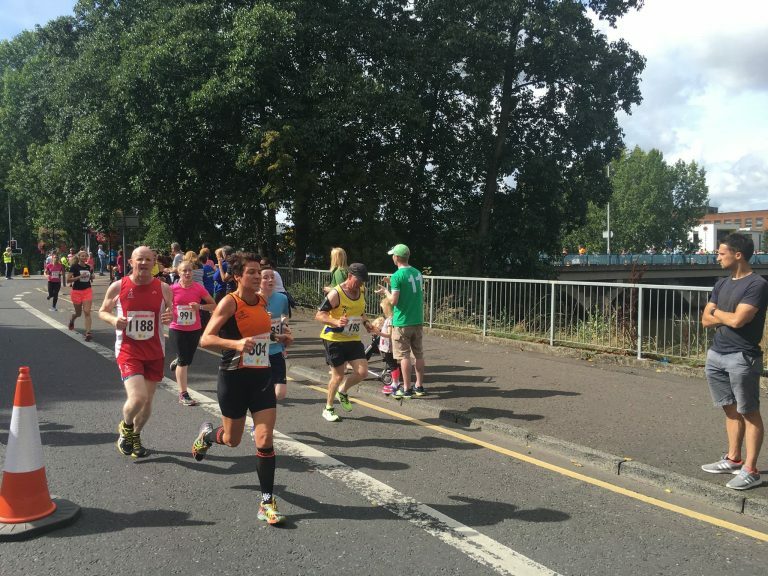 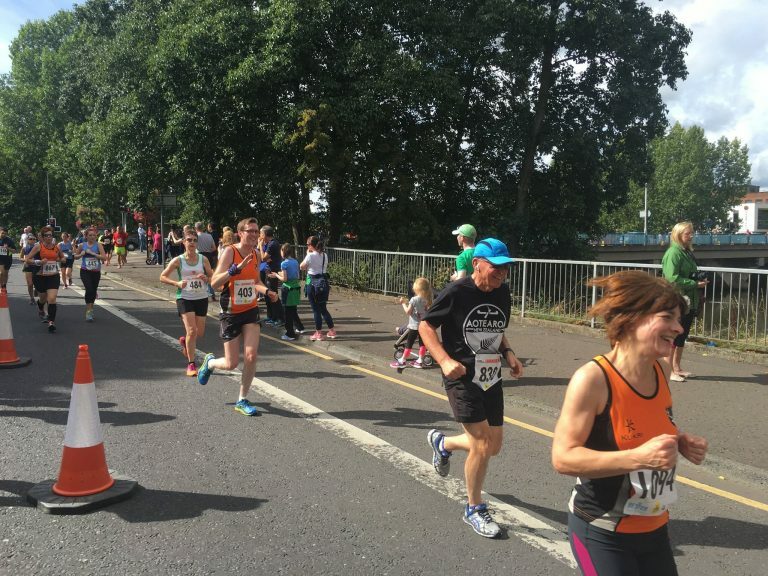 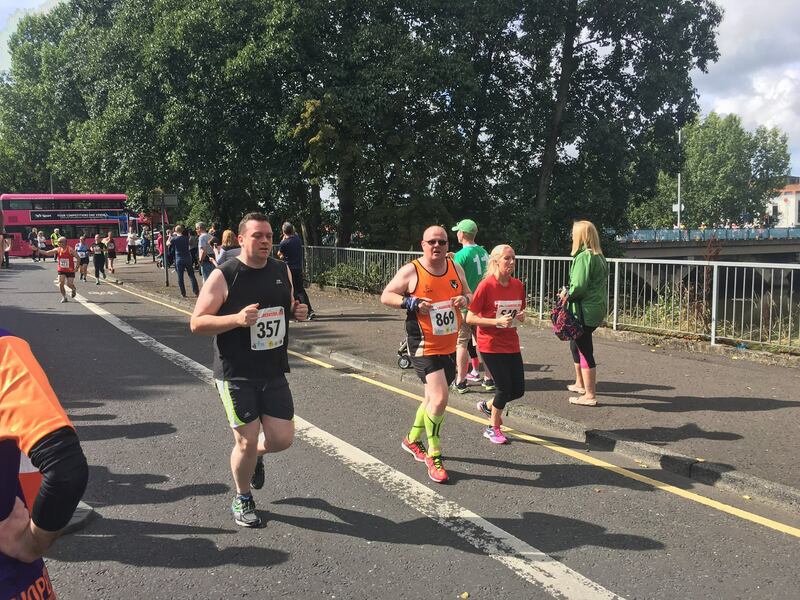 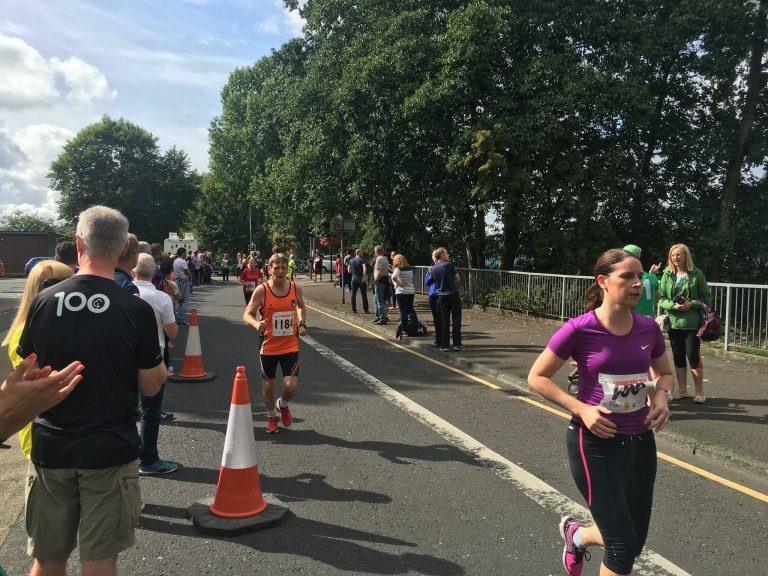 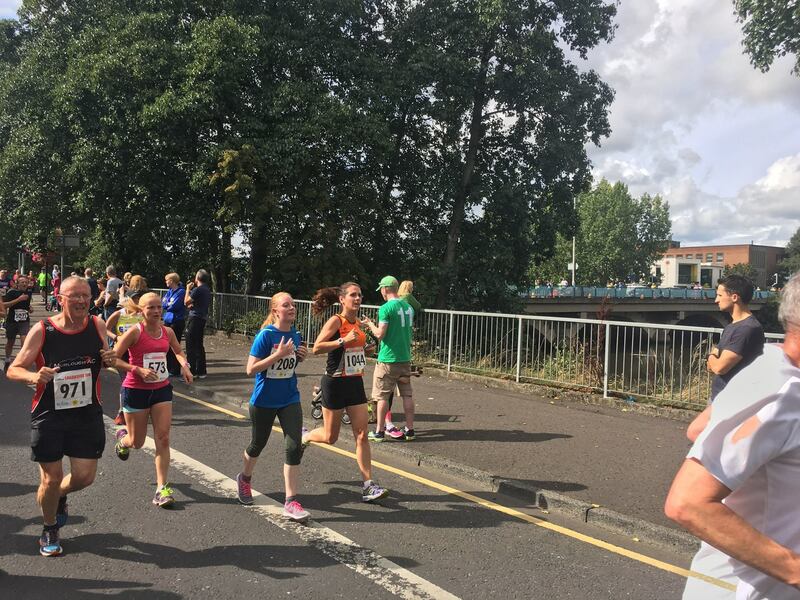 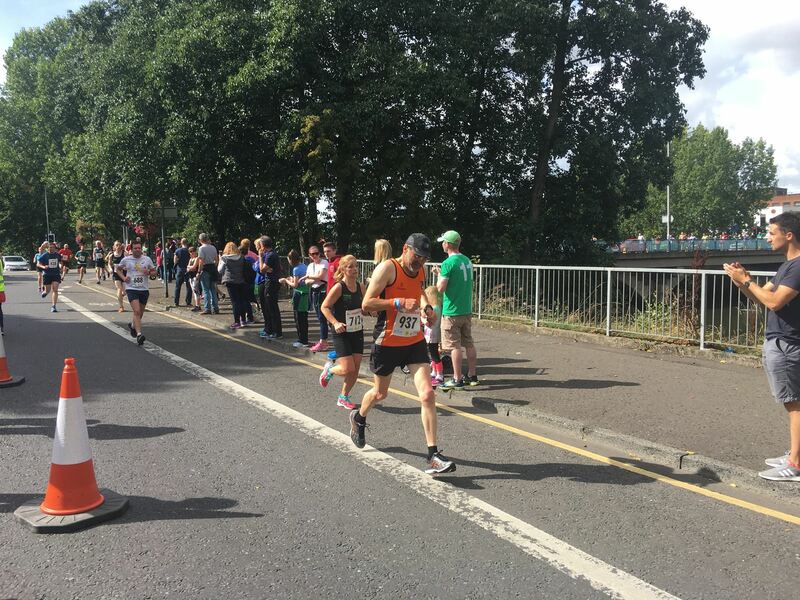 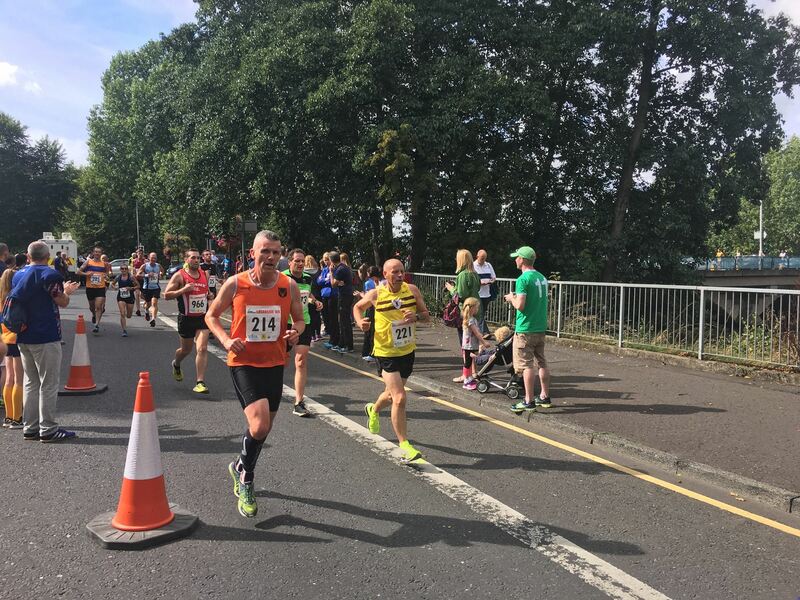 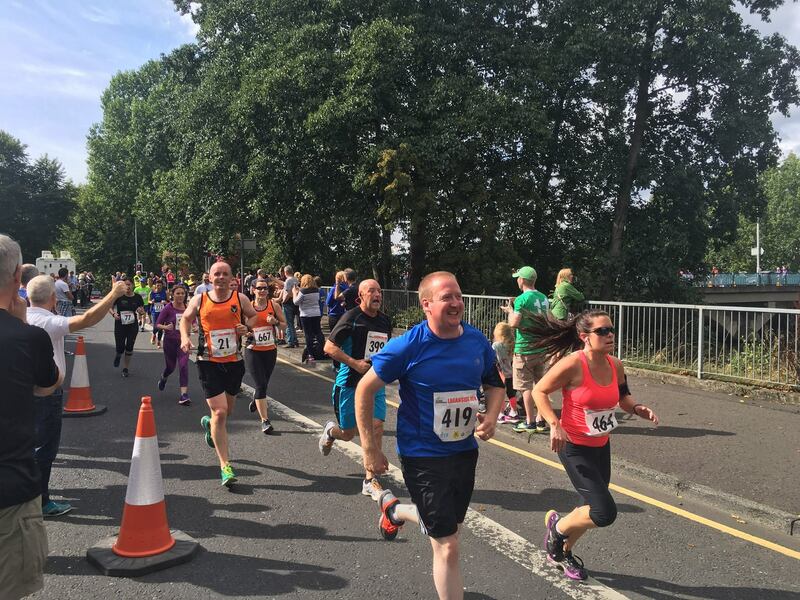 Once out of the park, the course followed the river as closely as possible between the Albert Bridge and Ormeau Bridge, using Ormeau Embankment and Ravenhill Road on one side and the towpath on the other. 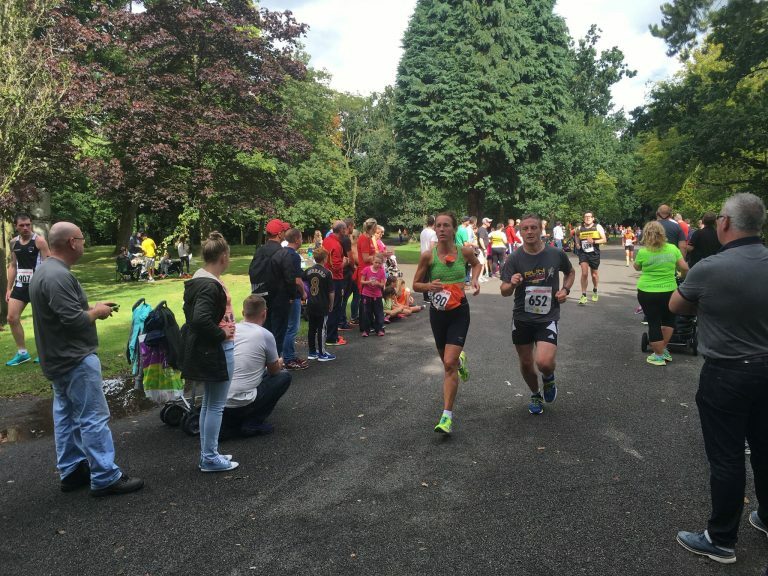 With two laps completed the runners re-entered the park via the bottom gates and continued uphill to the finish. 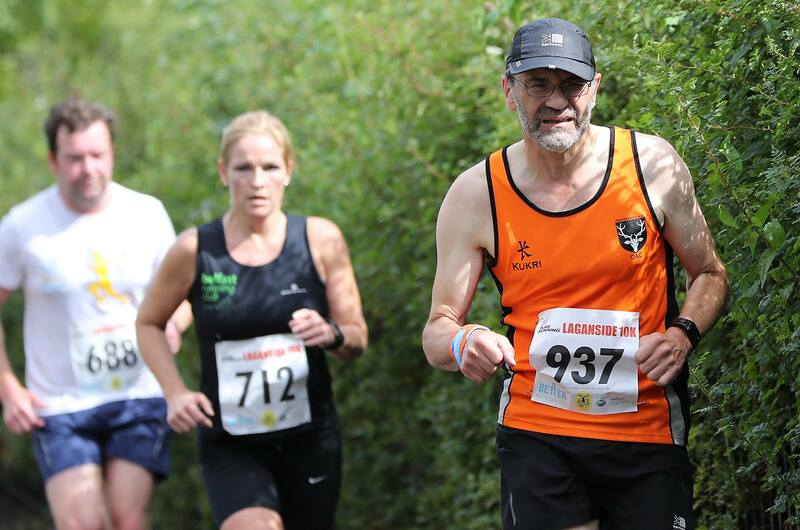 This was a more scenic but tougher end to the race than in recent years. 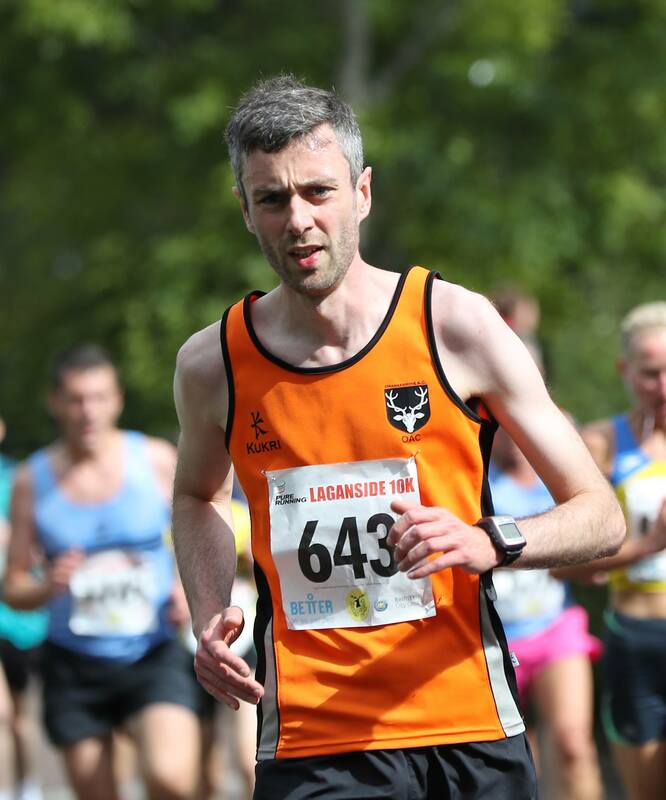 Andy McIntyre was the fastest OAC male in 36:15, an impressive personal best. 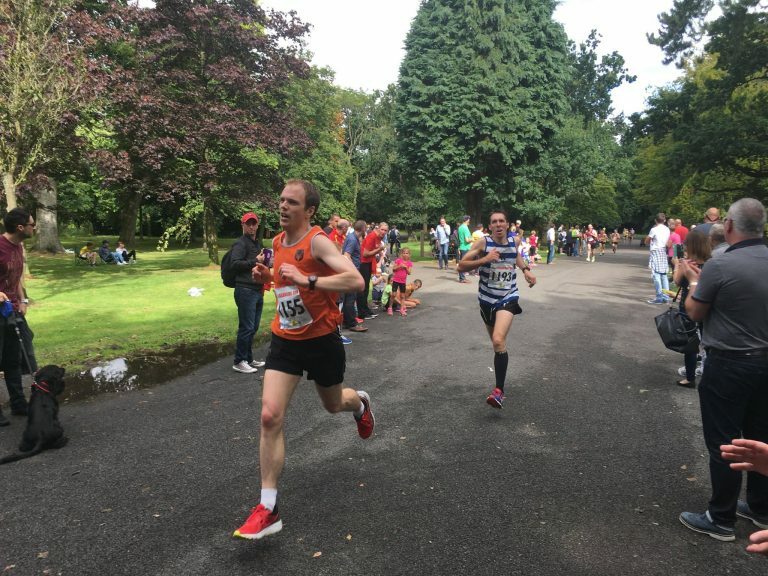 Eric Fairfield ran well to finish second OAC male in 39:34, also a personal best. 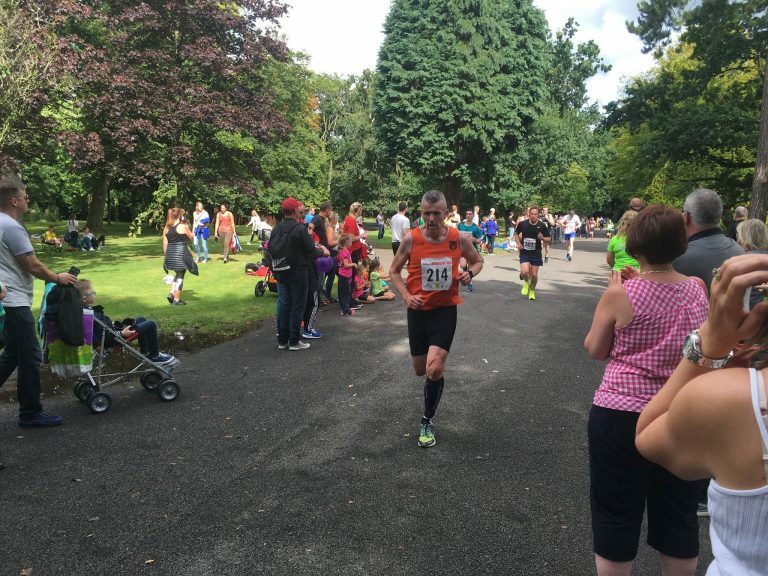 Des Fahy was third OAC male in 39:39. Trudy Brown was the fastest OAC female in 44:24 followed closely by Julie McKimm in 44:27. 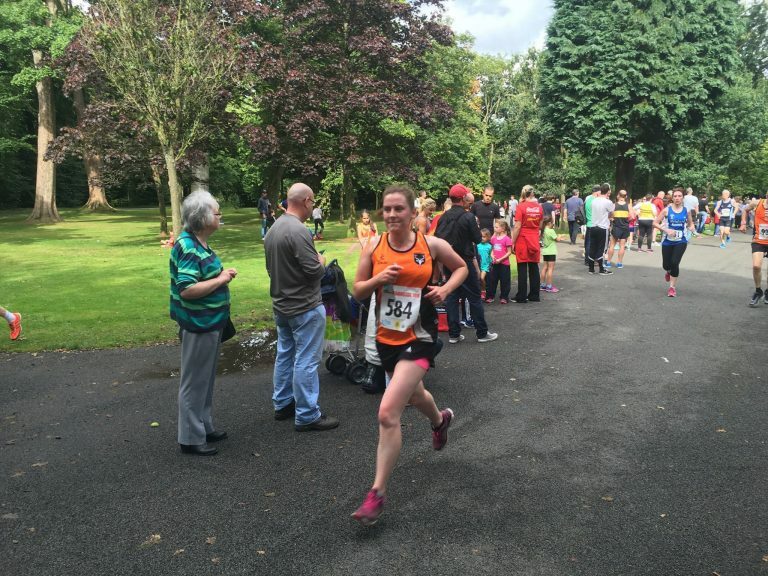 Carolyn Beattie ran well to finish third OAC female in 46:02. 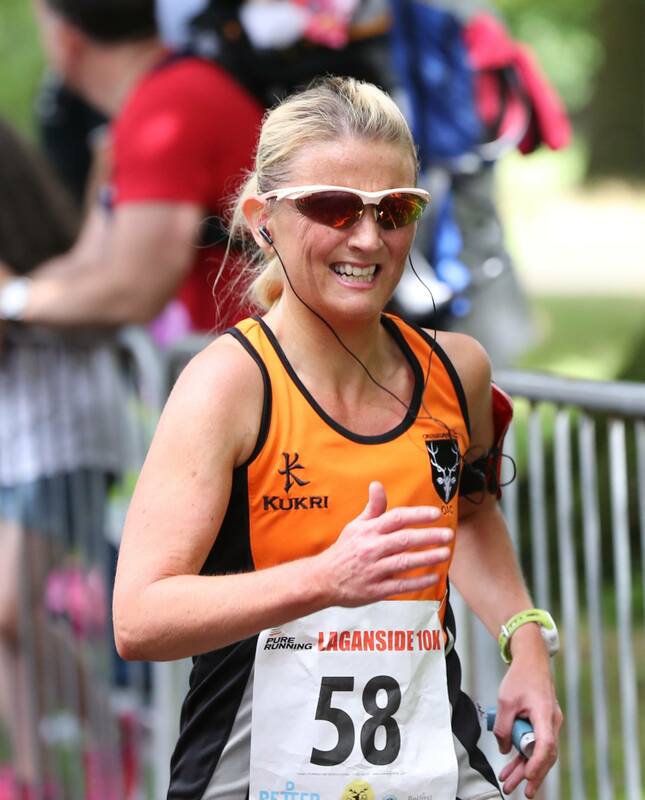 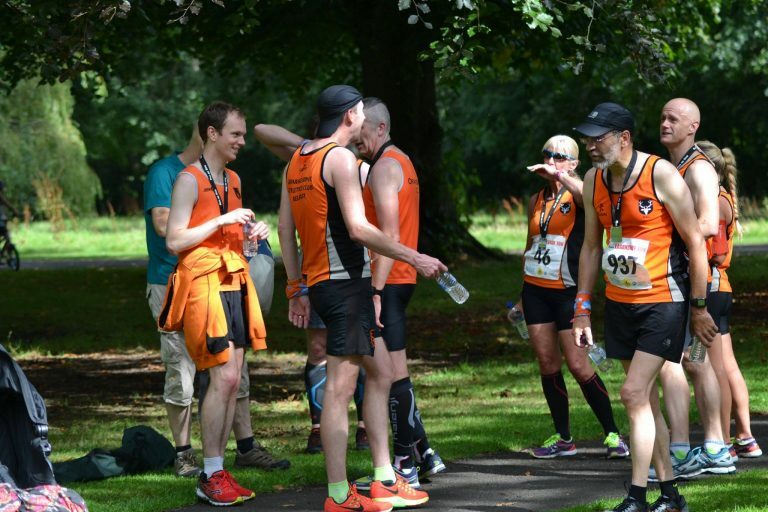 I tip my Karrimor running cap to Jill Holland who put her own race on hold to go the aid of a female runner, who had collapsed about a mile from the finish. It was a very warm day and the sun shone relentlessly, despite this, as Young Mr. Grace used to say: ‘You’ve all done very well’. 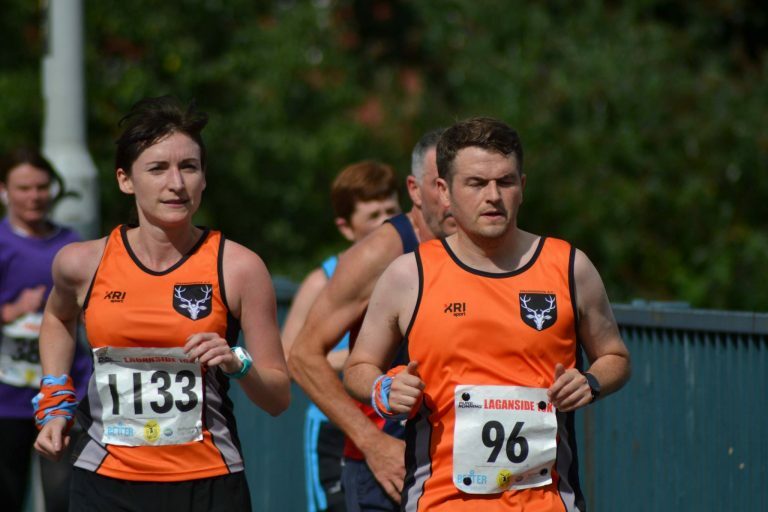 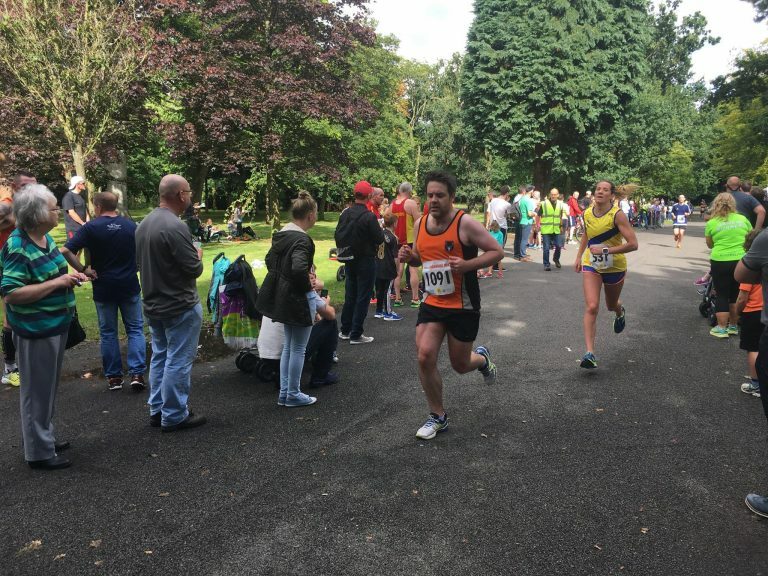 Mark McKinstry (North Belfast Harriers) won the race in 31:55 and Laura Graham (Mourne Runners) was the fastest female in 35:36. 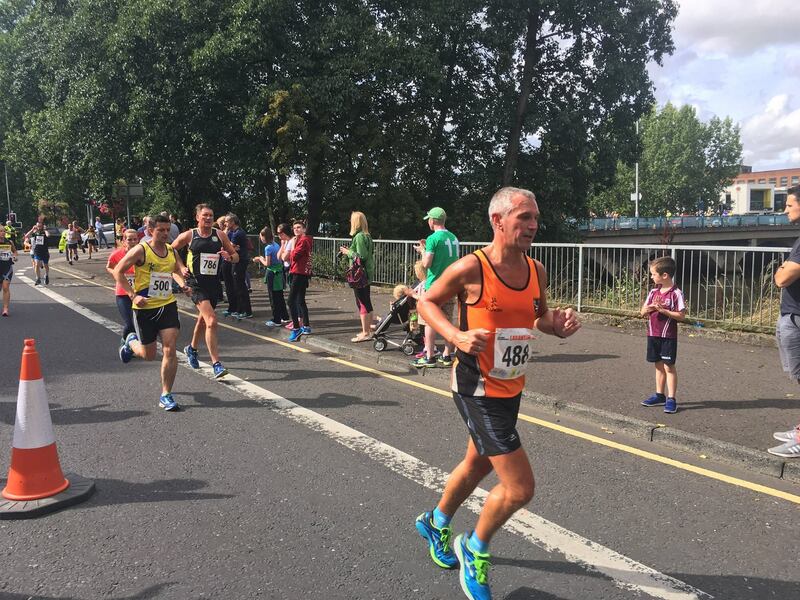 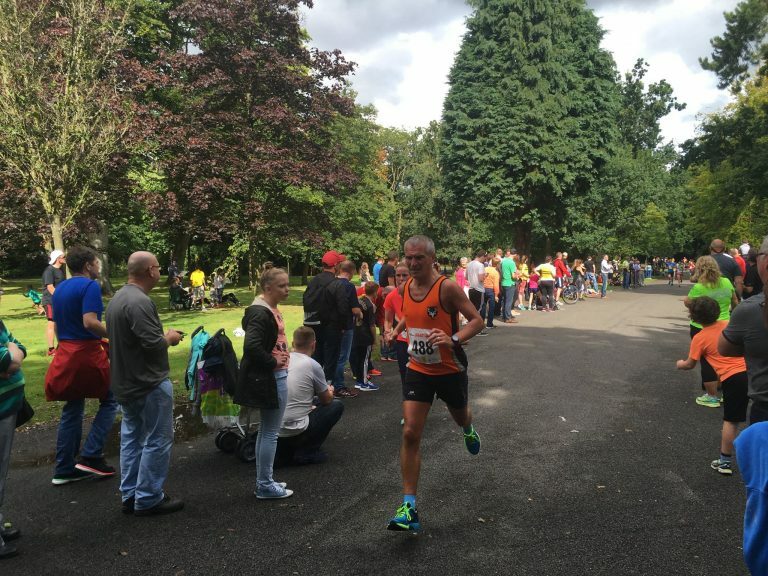 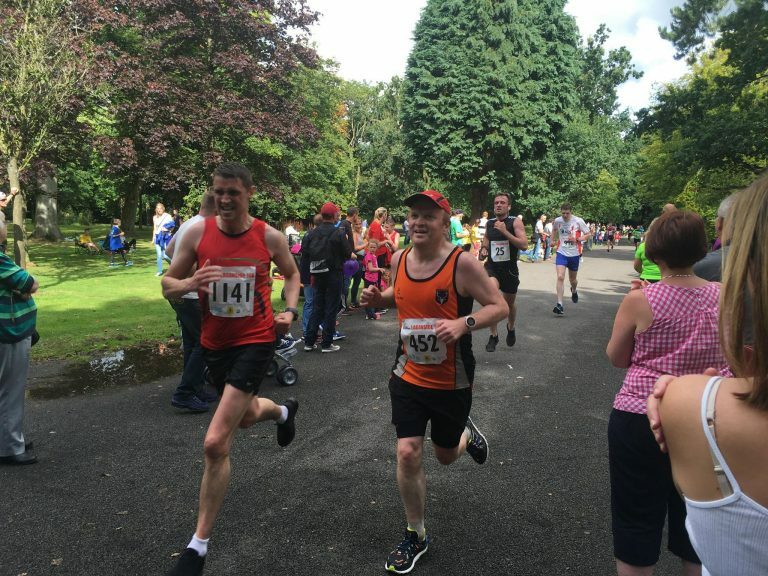 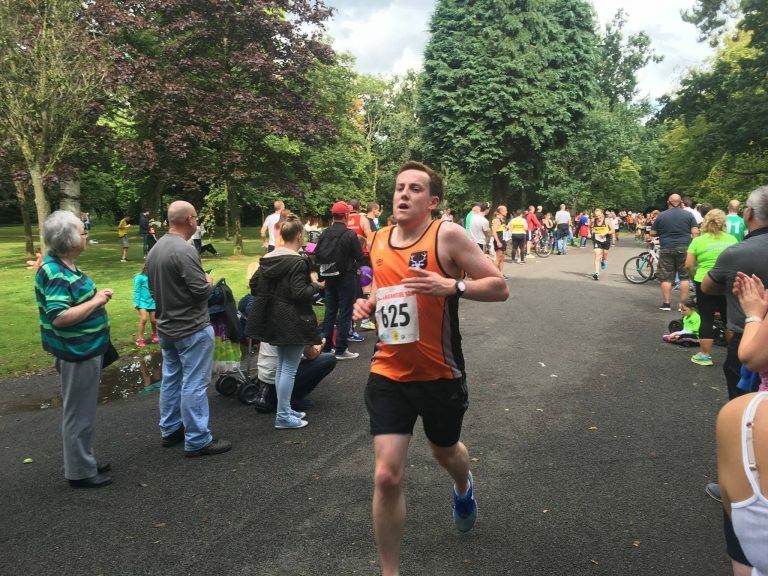 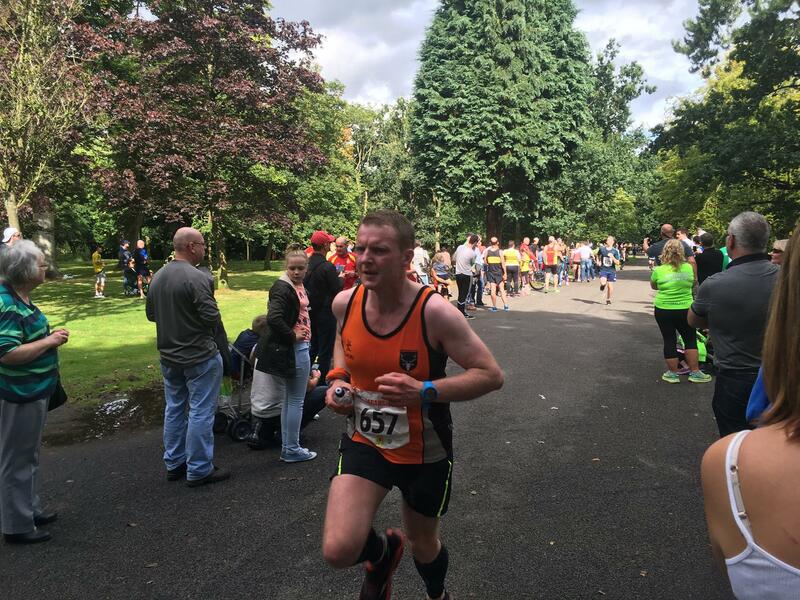 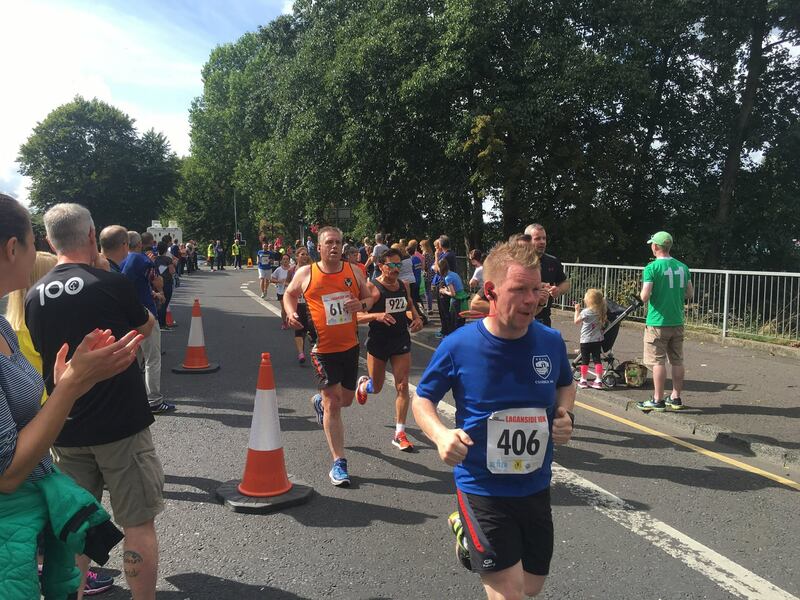 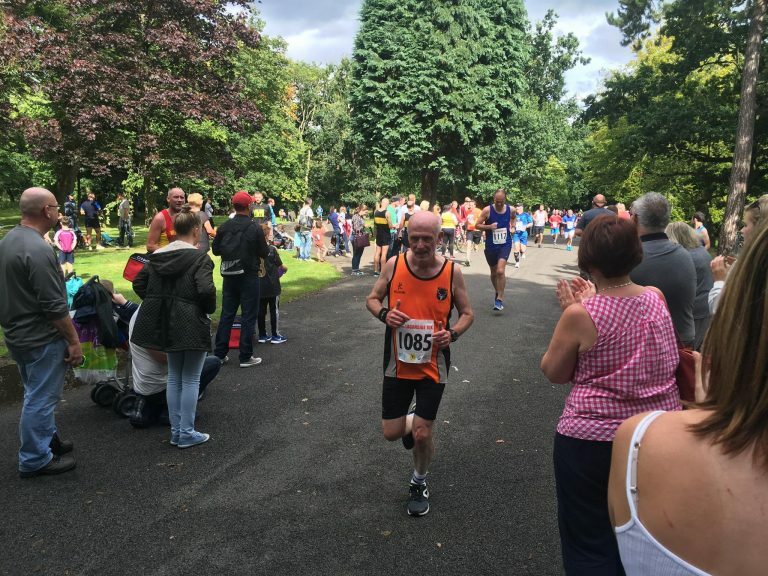 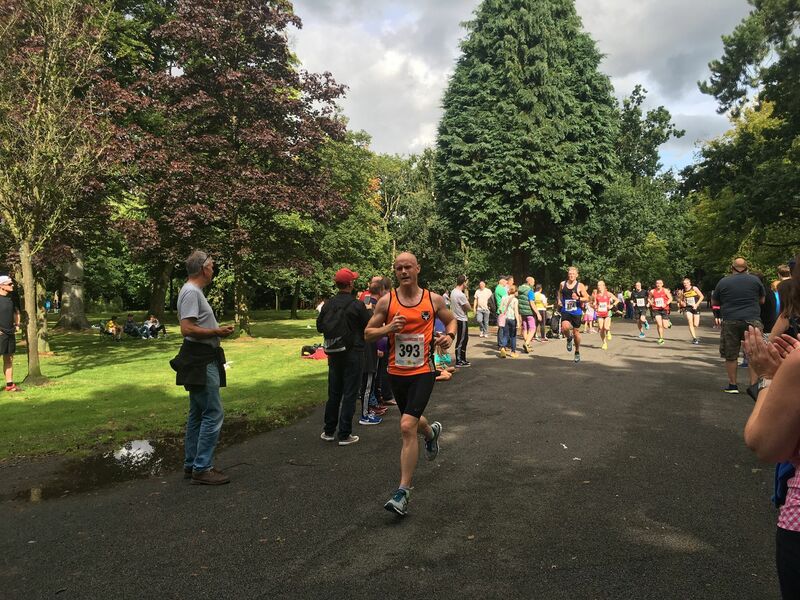 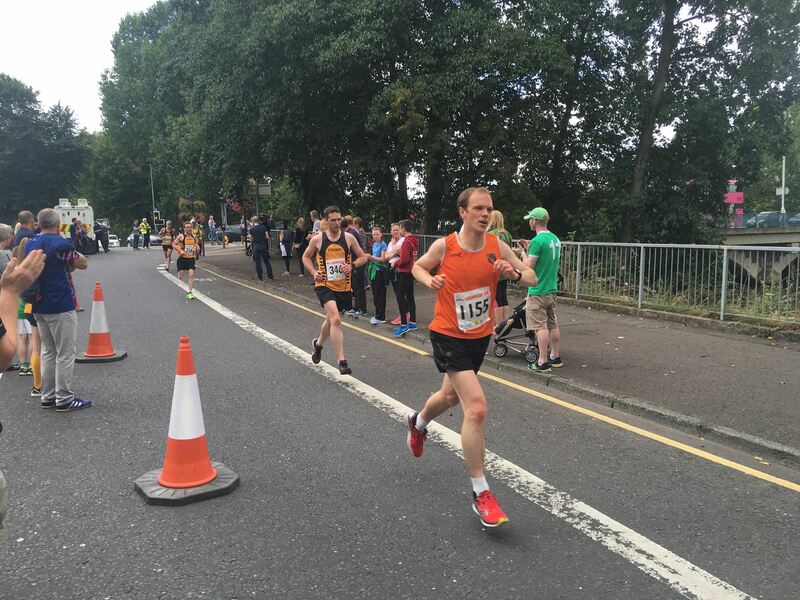 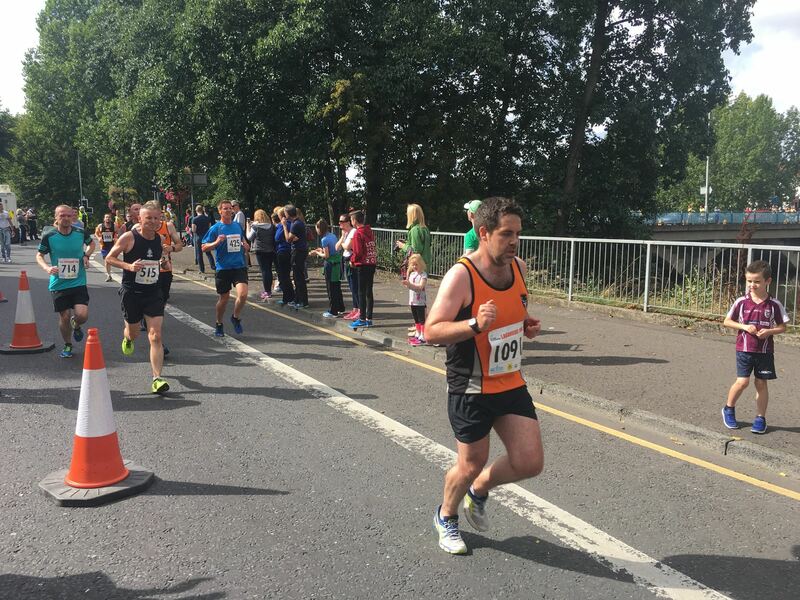 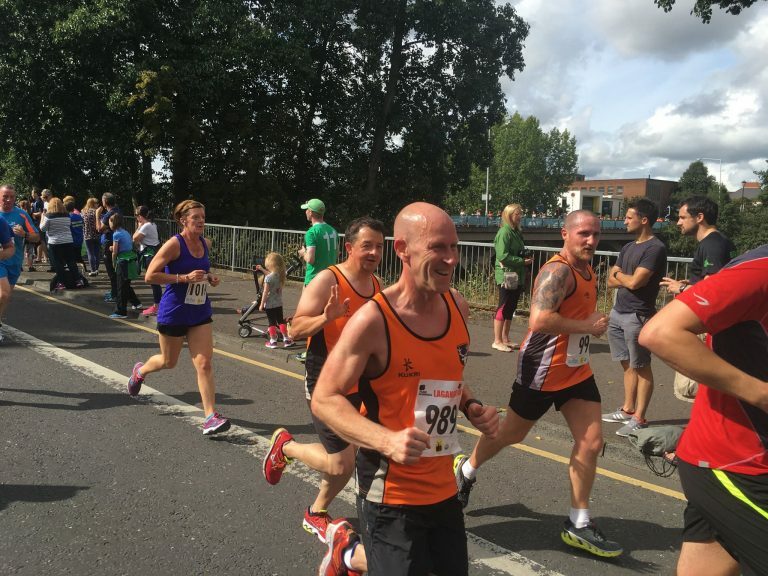 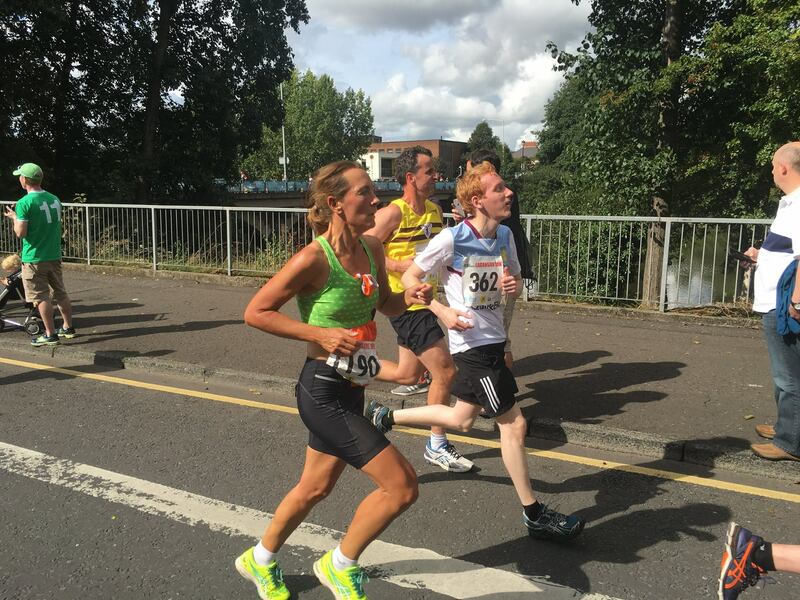 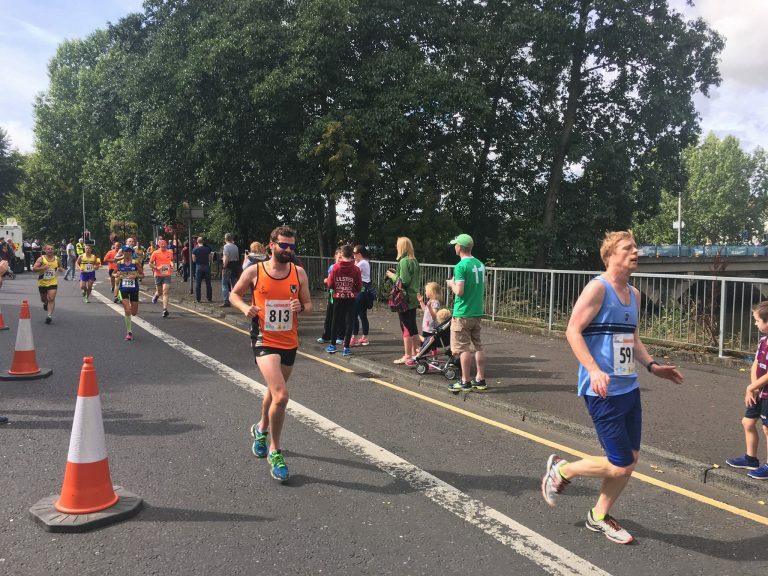 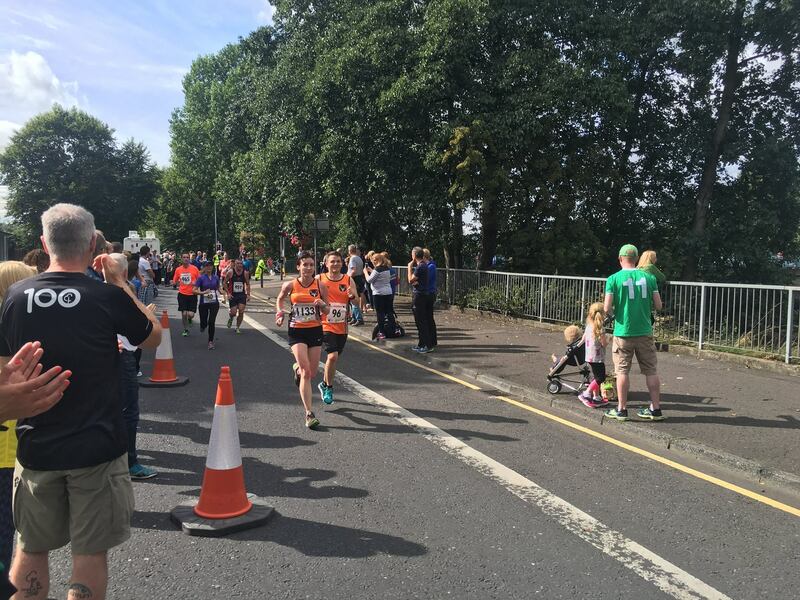 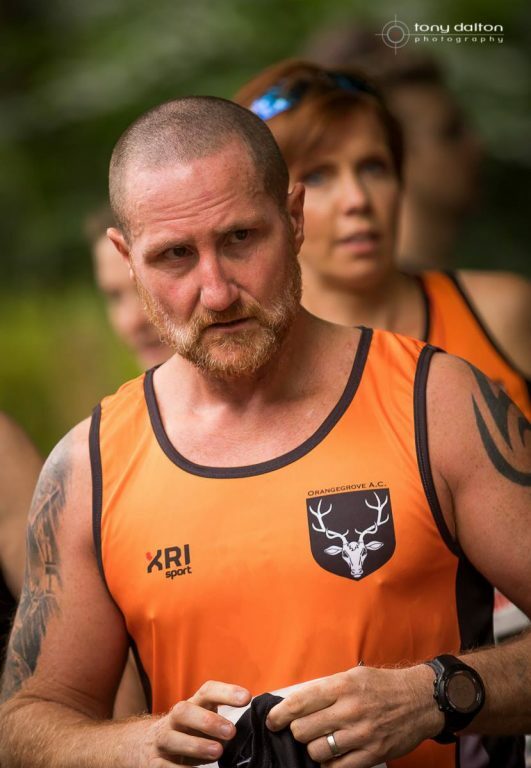 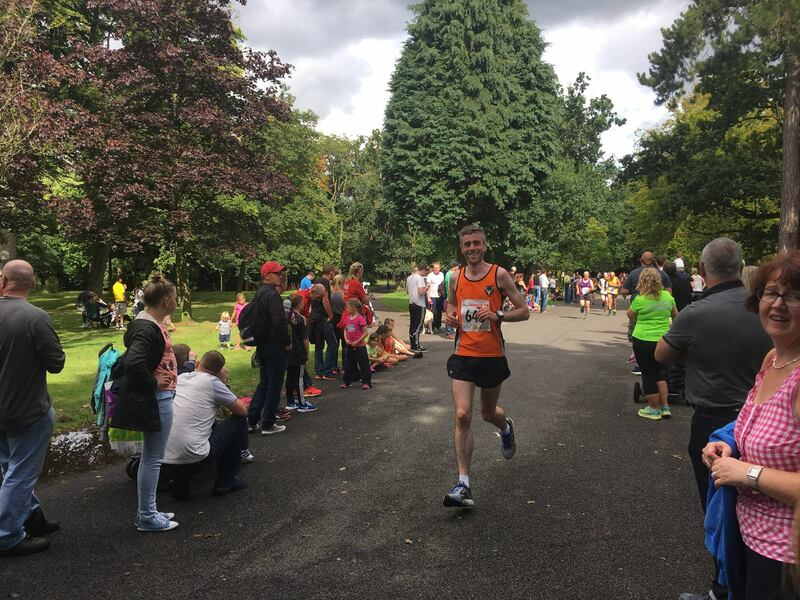 Well done to Matt Shields and North Belfast Harriers, supported by Pure Running, on putting on a great race. 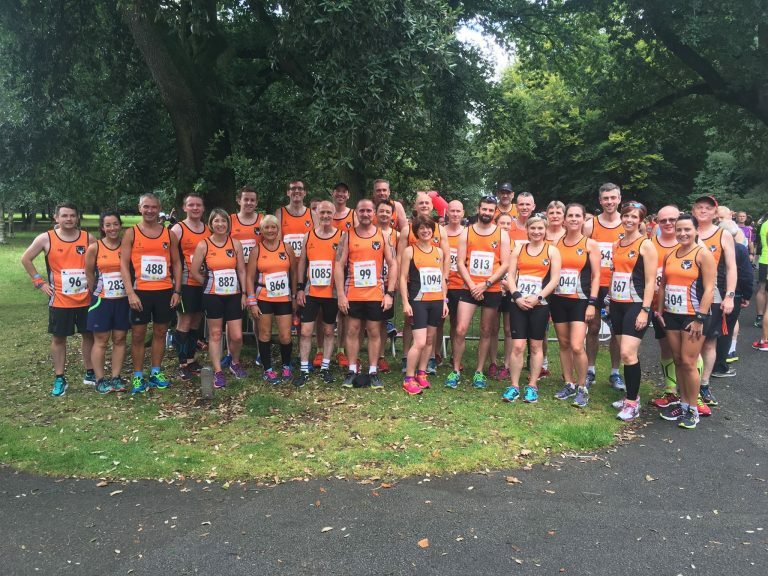 Thanks to our OAC members who were not running but came along to support the rest of us. 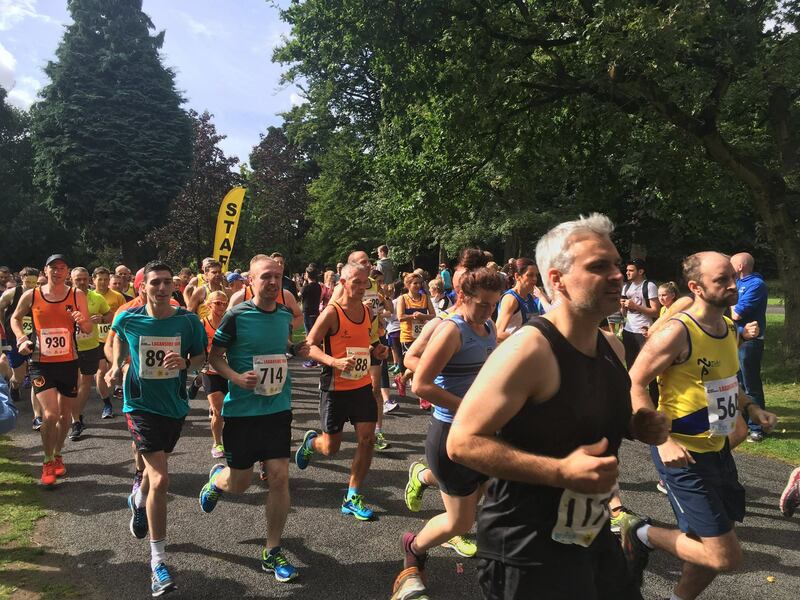 It was good to see so many people lining the course and enjoying the event.